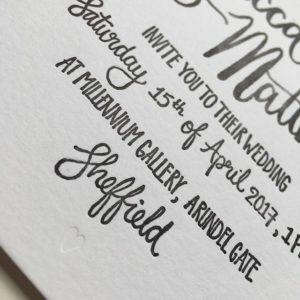 There’s two main methods of printing your custom stationery: letterpress and flat printing. Letterpress uses an antique printing press and custom made stamps to print a design. 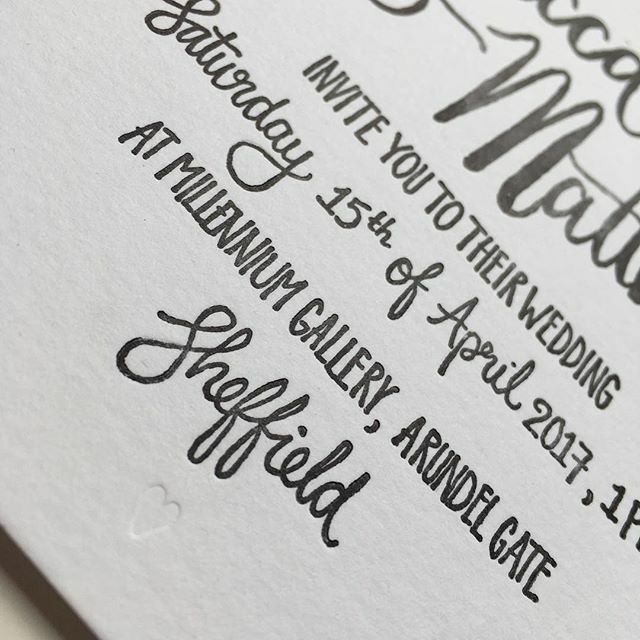 This produces a lovely deep print, with a tangible relief in the paper. All colours are possible and ink is mixed by hand. 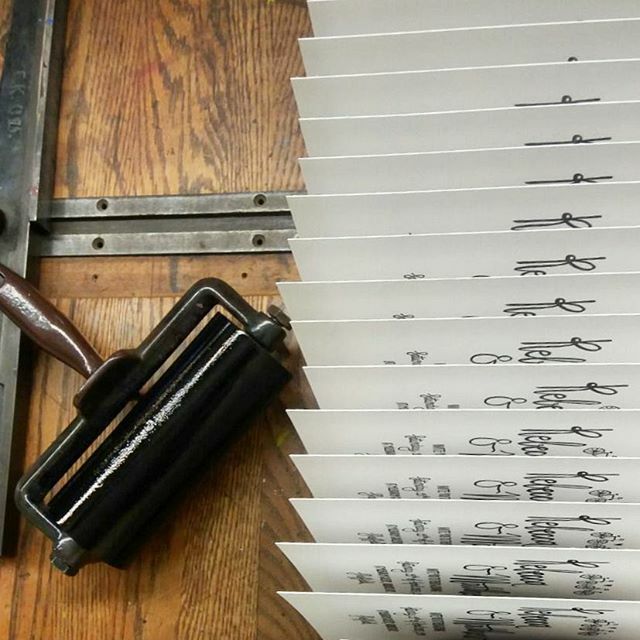 Cards are put in the press by hand and one by one, and every colour means another run through the press. 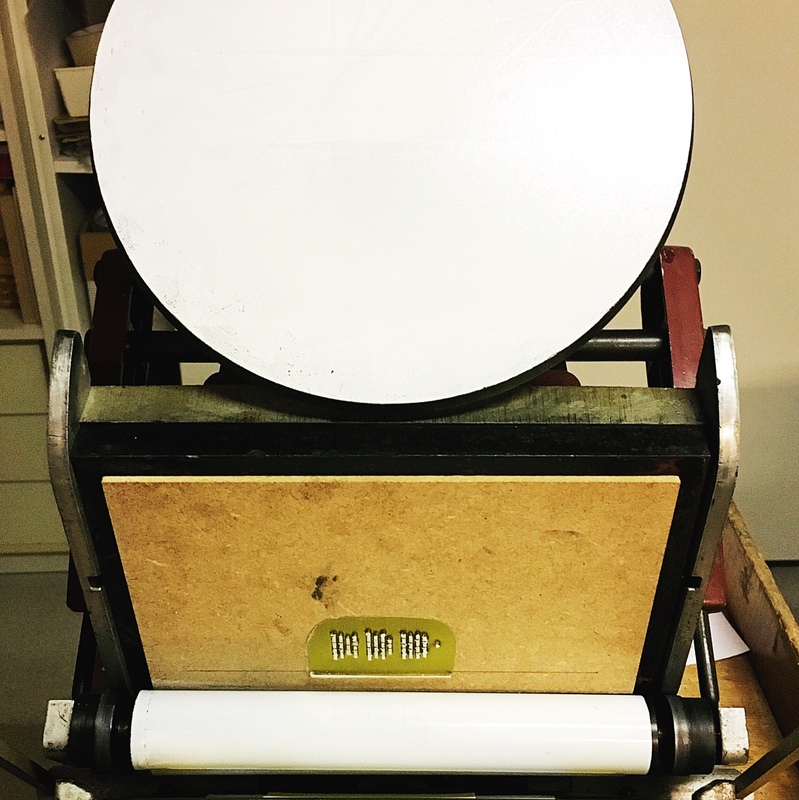 That’s why I work with a maximum of 2 colours when letterpress printing. 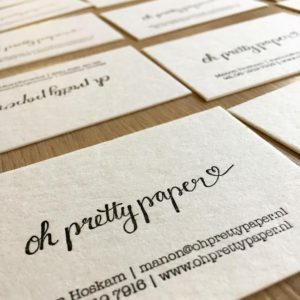 Because letterpress is a very intensive process and costs to make the stamps are high, it’s a more expensive printing method than flat printing. 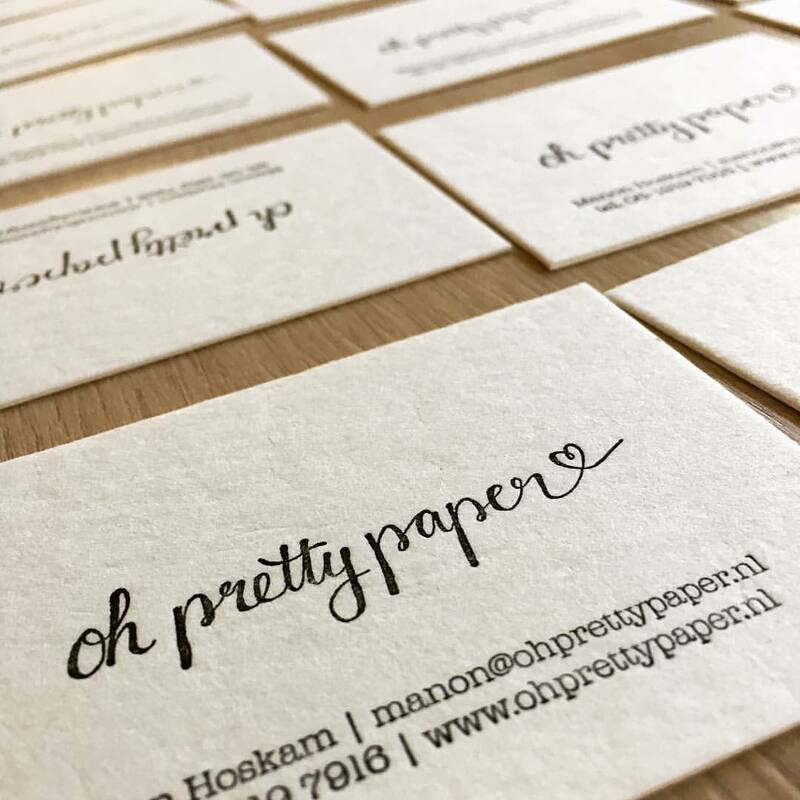 Especially for a low number of cards the price per card can be relatively high. Please contact me to discuss the possibilities of letterpress and for a price estimate.